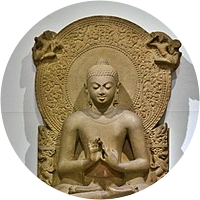 A collection of the best Gautama Buddha quotations. We do not possess our home, our children, or even our own body. They are only given to us for a short while to treat with care and respect. In a man's family, respect and listening are the source of harmony. Though a fool spend all his life with wise men, he will know the truth no more than a spoon knows the taste of the soup. Life is accessible only in the present moment. Forgiveness is primarily for our own sake, so that we no longer carry the burden of resentment. But to forgive does not mean we will allow injustice again. I taught you not to believe merely because you have heard, but when you believed of your consciousness, then to act accordingly and abundantly. Life is a bridge, build no house upon it; it is a river, cling not to its banks; it is a gymnasium, use it to develop the mind on the apparatus of circumstance; it is a journey, take it and walk on. Believe nothing, no matter where you read it, or who said it - even if I have said it - unless it agrees with your own reason and your own common sense. In wisdom be a lamp, a light unto yourself. Anger will never disappear so long as thoughts of resentment are cherished in the mind. Anger will disappear just as soon as thoughts of resentment are forgotten. One who is not happy with nothing, will not be happy with anything. Not getting what you desire and getting what you desire can both be disappointing. The only effort by any intelligent being in this world is to know something that can not be destroyed by death. Everything is changeable, everything appears and disappears; there is no blissful peace until one passes beyond the agony of life and death. As you travel through life, offer good wishes to each being you meet. Take time everyday to sit quietly and listen. However many holy words you read, how many you speak, what good will they do you if you do not act upon them? No matter how difficult the past, you can always begin today. Do not disregard the accumulation of goodness, saying, 'This will come to nothing.' By the gradual falling of raindrops, a jar is filled. The wise man becomes full of good, even if he gathers it little by little. Do not be attached to the judgments of others, for your interpretation in the end will be the most important. If you take care of each moment, you will take care of all time. Always have the support of a joyful mind in all situations. Help men but don't get in the way of men being able to help themselves. Do not draw attention to yourself as you perform good works. Life is so hard, how can we be anything but kind? We are not independent but interdependent. Better to conquer yourself than to conquer thousands in battle. Simplicity brings more happiness than complexity. Even death is not to be feared by he who has lived wisely. There is no joy like peace. The greatest prayer is patience. The mind contains all possibilities. Do not work to make money for money's sake. Only by nonviolence is excellence achieved. That which is time, is timeless, is found now. In all circumstances, try to cultivate virtue. The greatest word in any language is nobility. When you walk, just walk; when you eat, just eat. Do not expect truth to prevail in all situations. Give up all hope for results and be in the moment. Joy and openness come from our own contented heart. Blessings come from care, troubles from carelessness. Free your heart. Travel like the moon among the stars. If you do not care for each other, who will care for you? The tongue like a sharp knife ... Kills without drawing blood. Do not make someone else do the work that you should be doing. Study the teachings of the great sages of all sects impartially. Don't keep searching for the truth, just let go of your opinions. Purity and impurity belong to oneself; no one can purify another. If a man's mind becomes pure, his surroundings will also become pure. Holy is the forest. Holy is that place where the senses are at peace. There is the path of fear and the path of love. Which will you follow? Observe proper action at all times, even at the risk of your own life. Do not seek perfection in a changing world. Instead, perfect your love. Desire blinds us, like the pickpocket who sees only the saint's pockets. An upright posture and a few relaxed breaths can make a great difference. At the bottom of things, most people want to be understood and appreciated. What you are is what you have been, and what you will be is what you do now. Inner freedom is not guided by our efforts; it comes from seeing what is true. Whatever we cultivate in time of ease, we gather as strength for time of change. The only way to bring peace to the earth is to learn to make our own life peaceful. We do not need more knowledge but more wisdom. Wisdom comes from our own attention. Your work is to discover your work and then with all your heart give yourself to it. Do not judge yourself harshly. Without mercy for ourselves we cannot love the world. All wrongdoing arises because of mind. If mind is transformed can wrongdoing remain? If you can't find the truth right where you are, where else do you think you will find it? Be grateful to all men for the teachings they give, be it in understanding or in tolerance. All great teachings have the single purpose of controlling the ego to create a better world. Without health life is not life; it is only a state of langour and suffering—an image of death. Everything that has a beginning has an ending. Make your peace with that, and all will be well. Seek friends who have beliefs and habits like thine own and in whom thou canst place thy trust. Constantly maintain alertness of consciousness in walking, in sitting, in eating, and in sleeping. The smallest good deed done unselfishly is more precious than innumerable good deeds done selfishly. If a man speaks or acts with pure thought, happiness follows him like a shadow that never leaves him. Words have the power to destroy or heal. When words are both true and kind, they can change the world. The whole secret of existence is to have no fear. Never fear what will become of you, depend on no one. Be a lamp to yourself. Be your own confidence. Hold to the truth within yourself, as to the only truth. Love in the past is only a memory. Love in the future is a fantasy. Only here and now can we truly love. Begin each day with the idea of being able to generate compassion and understanding the whole day through. To keep the body in good health is a duty ... otherwise we shall not be able to keep our mind strong and clear. Endurance is one of the most difficult disciplines, but it is to the man who endures that the final victory comes. In business, reinvest a portion of all you make, keep a portion for your use, and save a portion for those in need. If you have a friend sober, pure, and wise, let nothing hold you back — find delight and instruction in his company. All that we are is the result of what we have thought: it is founded on our thoughts, it is made up of our thoughts. Although a cloth be washed a hundred time, how can it be rendered clean and pure if it be washed in water which is dirty? Our own worst enemy cannot harm us as much as our unwise thoughts. No man can help us as much as our own compassionate thoughts. Foolish to think that truth is in untruth, equally foolish that untruth is in truth — truth is always truth, untruth always untruth. Praise and blame, gain and loss, pleasure and sorrow come and go like the wind. To be happy, rest like a great tree in the midst of them all. Fear is always an anticipation of what has not yet come. Our fear and separation are great, but the truth of our connection is greater still. For a man who understandeth thoroughly the teachings which he hath received, it is the same whether he meets with good fortune or with bad fortune. What is the appropriate behaviour for a man or a woman in the midst of this world, where each person is clinging to his piece of debris? What's the proper salutation between people as they pass each other in this flood? A man that cleaves to wealth had better cast it away than allow his heart to be poisoned by it; but a man who does not cleave to wealth, and possessing riches, uses them rightly, will be a blessing unto his fellow humans. Let us rise up and be thankful, for if we didn't learn a lot today, at least we learned a little, and if we didn't learn a little, at least we didn't get sick, and if we got sick, at least we didn't die; so let us all be thankful. The charitable man is loved by all; his friendship is prized highly; in death his heart is at rest and full of joy, for he suffers not from repentance; he receives the opening flower of his reward and the fruit that ripens from it. Giving brings happiness at every stage of its expression. We experience joy in forming the intention to be generous, we experience joy in the actual act of giving something, and we experience joy in remembering the fact that we have given. To enjoy good health, to bring true happiness to one's family, to bring peace to all, one must first discipline and control one's own mind. If a man can control his mind he can find the way to Enlightenment and all wisdom and virtue will naturally come to him.